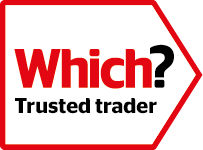 as well as members of several other Professional Trade Organisations. We have been providing MOT tests for many years, and our Test station was used, with a limited number of others, to trail the introduction of the computerised MOT tests now familiar to us all . All vehicles over 3 years old require an MOT to ensure the vehicle meets the minimum requirements as set out by the Department of Transport. 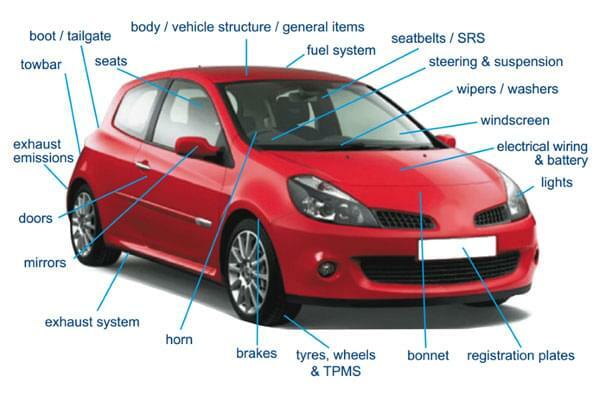 The MOT looks at some important items on your car to see that they meet key legal requirements at the time of the test. Free from excessive corrosion or damage in specific areas. No sharp edges likely to cause injury. Towbars for security, condition, inappropriate repairs or modification. Correct operation of 13 pin electrical socket. Speedometer condition and operation. Engine mountings. No leaks. Security and condition of pipes or hoses. Fuel cap fastens and seals securely. Note the fuel cap will need to be opened. Make sure the key is available. Vehicle meets the requirements for exhaust emissions, dependent on the age and fuel type of the vehicle. Secure. Complete. Catalyst missing where one was fitted as standard. Without serious leaks and is not too noisy. All the seat belts fitted are checked for type, condition, operation and security. All mandatory seat belts must be in place. Check of the malfunction indicator lamp (MIL) for air bags and seat belt pre tensioners. Driver's seat can be adjusted. All seats for security and seat backs can be secured in the upright position. Latch securely in closed position. Front doors should open from inside and outside the vehicle. Rear doors should open from outside the vehicle. Hinges and catches for security and condition. Minimum number required, condition and security. Boot or tailgate can be secured in the closed position. Condition including inappropriate repairs or modifications, operation and performance (efficiency test). Note the removal of the road wheels and trims are not part of the test. ABS or electronic stability control (ESC) where fitted. Check of the MIL for ABS, electronic stability control, electronic park brake and brake fluid warning. Condition, security, tyre size and type and tread depth. Spare tyres are not inspected. Note: vehicles first used on or after 1 January 2012 - check of the MIL for tyre pressure monitoring. Condition, security, colour, characters correctly formed and spaced. Condition, operation including HID and LED headlamps for cleaning, self levelling and security. Headlamp aim. Main beam warning light. Securely latches in the closed position. Operate to give the driver a clear view ahead. Condition and driver's view of the road. Correct operation and of suitable type. Condition, steering oil level, operation, a check for inappropriate repairs or modification including corrosion to power steering pipes or hoses. Operation of steering lock mechanism. Check of the MIL for electronic power steering and steering lock. Is on vehicles first used on or after 1 August 1980. Only one unique VIN is displayed except on multistage build vehicles.